The Nigerian Bar Association ("NBA") is currently in deep mourning.Within the last fortnight, we have lost 3 (three) of our members in very tragic circumstances that speak to and underscore the palpable and pervasive state of insecurity in our country. On Friday, 31 November 2018, the decomposed body of our Ikole-Ekiti Branch Secretary, Adeola Adebayo, was recovered from a forest having been brutally murdered by his abductors. Recall that Adeola was kidnapped on Saturday, 17 November 2018 and a N3,000,000.00 ransom paid on Thursday, 22 November 2018 for his release – see the NBA Statement of 24 November 2018. Possibly, he was killed by the criminals even before the ransom was paid. How cruel! In the evening of Thursday, 29 November 2018,while we were still on bended knees for the release of Adeola, AdeshinaOkeya, a new wig, wasfatally attacked by a vigilante group in the outskirts of Abujaleading to his death the following day, Friday, 30 November 2019. 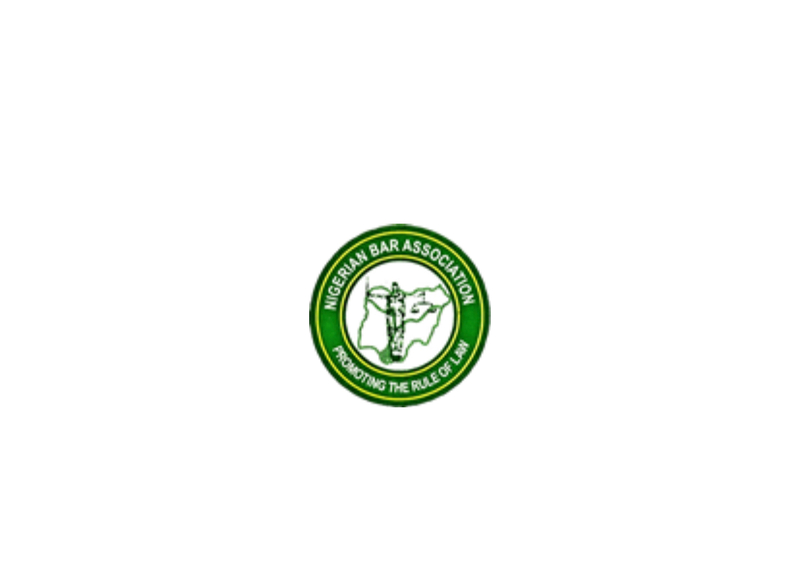 Adeshina's death is particularly tragic given the fact that the brutal attack that led to his death occurred on the same day he was called to Bar,i.e.Thursday, 30 November 2018. He didn't even have the opportunity of registering with any NBA Branch post-Call, let alone of showcasing his wig and gown before Their Lordships and/or Their Honours. Earlier, on Friday, 23 November 2018, the lifeless body ofRemigusOgu (Jnr), a serving Magistrate in Imo State, was found in the centre of a road in Amucha Community in Njaba Local Government Area of Imo State where it was dumped by his killers. Remmy (Jnr) was kidnapped the previous day, Thursday, 22 November 2018 and his killers, after dumping his body on the highway, made away with his official car, mobile phones and other personal effects. As we write, no arrest has been made in regard to the kidnaps and murders of AdeolaRemmy (Jnr)andAdeshina.Adeola and Remmy (Jnr) were young fathers whose children have now been made fatherless and their young wives turned into widows. The fathers of our three fallen colleagues are all lawyers. Dr. Williams Adebayo, Adeola's father, is a law lecturer at Ekiti State University while Ademola Okeyaserved as a past Chairman of Ikole-Ekiti Branch – the same Branch that Adeola served as Secretary up to his untimely and cruel death. Chief Remigus Ugo (Snr), the father of Remmy (Jnr) is the doyen of the Orlu Bar having been called to the Nigerian Bar in 1976. I have been in constant communication with all three fathers and I truly feel for and empathize with them. Our hearts go out to the parents and indeed the families of our three fallen colleagues, both extended and nuclear. May the Almighty comfort them and wipe their tears and may our fallen colleagues find rest. Meanwhile, these incidents bring to the fore the terrifyingstate of insecurity in our land. Adeshina would, perhaps, still have been with us if the state of insecurity in the country was not so gravesuch that communities have resorted to self-help in the form of vigilante groups. Community policing in other climes refers to the collaborative efforts of communities with the police to secure lives and property. In Nigeria, our vigilante groups effectively stand in for the police and assign to themselves the role of intercepting and confronting violent criminals. And to carry out these functions, they are armed by the communities that they protect with dangerous weapons including arms and ammunition thereby turning them into a parallel police system. The price we pay is exemplified by the very unfortunate death of Adeshola. The murder of Remmy (Jnr) is even more distressing and alarming. In civilized climes – and we number Nigeria as one – criminals are loath to attack or kill judicial officers and law enforcement officers because of the instant repercussions that follow. The long arms of the law speedily isolate, identifies, catches and brings to justice those criminals who dare or engage in such taboos and this isto accentuate the cornerstone roles of these officials in maintaining law and order in the society. Their safety and lives must therefore remain no-go areas and off-limits for criminals; the institutions to which they belong must also not be threatened howsoever by criminals. Criminals indeed feel emboldened when they can get away with attacking and diminishing the institutions of justice and law enforcement, illustratively, by killing the officers of the institutions and/or directly attacking the institutions. Sadly, this taboo is broken, and this affront has been achieved specifically in Imo State in the last six months. We say this because the murder of Remmy (Jnr) is not an isolation in the demystification and degradation of the justice institution by criminals. In June 2018, criminals invaded the Orlu High Court complex, carted away the Bar Centre generator and battery, broke into the exhibit room of Magistrate Court 1 located in the complex and made away with some exhibits. About two months thereafter, precisely in August, the criminals again visited the same court complex, gathered and made away with the remaining exhibits and then set fire to the complex destroying the Exhibit room, the Archive and chambers of the Chief Magistrate and indeed, a section of the complex. If we argue that these happened at night, in the pitch of darkness – which would be an extremely lame excuse– what does one say about the daylight armed robbery attack on litigants and court officialsat about 12.30pm in November 2018 right inside the same Orlu High Court complex? And, in the same month, November 2018, our colleague, Remmy (Jnr), a serving judicial officer, was brutally murdered and his body indecorously displayed on the highway by criminals. What more gruesomeness do we need to see to know that we are all under siege by criminals and that our law enforcement agencies appear to be overwhelmed by the superior firepower, skills and methods of these criminals? It is instructive that the three incidents that we write about in this Statement occurred in the three geographical regions of Nigeria – the East, West and North – clearly making the point that no part of the country is immune from the current nemesis of insecurity. These murders of our colleagues also epitomize the all-round insecurity of lives and property and incessant killings of innocent citizens by criminalsin the country.We have said it time and again: governments at all levels in the country need to and must wake up to their primary responsibility of protecting lives and property. It is scary that criminals can so freely terrorize and murder innocent citizens, including judicial officers, and ransackour court premises, without let or hindrance, at night, under cover of darknessand even in broad daylight, during daytime. Are our judicial institutions not meant to be heavily and fully fortified and made safe for all stakeholders?What happened to the security infrastructure that should envelop and protect our judicial officers, including magistrates? These issues should be of serious concern to our law enforcement agencies. We urge our governments and the law enforcement agencies to immediately institute required remediation steps that wouldprotect the lives and property of our citizenry and in the process regain public trust and confidence in our governments. Perhaps, we need to overhaul the law enforcement agencies in totality, retool them and retrain the personnelin a manner that would make them overawe the criminals and strike fear into their hearts. The fear and dread of law enforcement agents, as a deterrent for criminal conduct, particularly violent crimes, appears to be non-existent. That unfortunate perception must be quickly reversed by governments. Right now, it would appear that the criminals are not at all afraid of law enforcement agents. Beyond these remediation steps, we call on the law enforcement agencies to fish out urgently the murderers of our colleagues, Adeola, Adeshina and Remmy (Jnr) as a first and immediate step towardsrestoring the confidence of the Nigerian people.